The county tourney is in the rearview mirror and the basketball season is into the January portion of the schedule. Soon, girls’ teams will be gearing up for postseason play and the boys will be working to get to that point. Games on the docket for this week begin with Tuesday’s action—The Lady Apaches of Wabash travel to Eastbrook for a game that at one time was a conference foe. The Southwood boys travel to Oak Hill for a border battle of teams that know each other very well. On Wednesday, a lone contest, Peru travels to Manchester to take on the Lady Squires. The Manchester boys’ basketball team played the lone county game Friday, hosting North Miami. Putting eleven players in the scoring column the Squire depth was too much for the Warriors as Manchester cruised to a 70-39 home win. North Miami would get their only lead of the night on the first shot of the game when Damon Gipson hit to give the Warriors a 2-0 lead. The North Miami lead was short lived when Chase Fierstos drained a three and was followed by a bucket from Claudell Dickantone to give the Squires a 5-2 lead. North Miami would hang with the Squires early as Alex Borse traded buckets with Braydon Sewell and Manchester led 10-8 when Fierstos banged home a three at the buzzer to give the Squires a 13-8 lead after one. The Manchester wrestling team took fifth place at the East Noble Invite Saturday, Jan. 4. Wabash High School graduate Brooklyn Short surpassed another milestone in her basketball career Saturday, doing just as she did in high school, by draining a three pointer to surpass 1,000 points in her career at Purdue Calumet. Short went 4 of 6 from behind the arch and finished the game with 16 points in a win over Robert Morris. Short now has 1001 points with around 10 games to go and is the 18th member to pass 1000. Brooklyn averages 12.3 points per game, shoots 45 percent from behind the arch, while leading the team in assists with 3.8 per game and steals with 1.3 per game. The Southwood Knights wrestling team began the second half of their schedule by traveling to the Adams Central Super Duals Saturday. The team performed well under the conditions brought on by our recent weather. Posting a 2-3 record at the meet, the Knights are now 15-9 on the season. The Knights defeated Bluffton 48-28, defeated Norwell 43-22, lost to FW Snider 27-42, lost to Adams Central 19-54, and Bishop Dwenger 17-58. The Manchester girls basketball team visited North Miami Saturday looking for their first win of the season and led by 10 heading to the fourth quarter, only to fall to the Warriors 54-53. The game could never find a flow, as a whistle was blown nearly every trip down the floor, with a combined 38 free throws made, which included 17 by North Miami in the fourth quarter to complete their comeback. The Lady Squires got the first lead of the game when Drew Thompson got things going with a three that was answered by 9 straight points from North Miami to go up 9-3. The Squires would then get a bucket from Tabby DeWitt, a free throw from Cierra Carter and a deuce from Thompson to cut the Warrior lead to 9-8. North Miami's Allison See would then drain a three that was answered with a bucket by Carter and Manchester trailed 12-10 after one. After a disappointing weekend at the Wabash County basketball tourney, the Manchester Squires basketball team went on the road one week later and made some serious noise. The Squires paid a visit to Huntington Saturday and with 8 of the 9 players, who saw the floor scoring, knocked off the Vikings 66-60. A strong defensive first half by the Squires was key in the win, as Manchester’s balanced attack took advantage. The Squires held Huntington to just 4 points in the first quarter while they built a 6-point lead. Manchester got buckets from Chase Fierstos and Lucas Schilling, while Clayton Petrie knocked home a three pointer and three free throws to lead 10-4 after one. 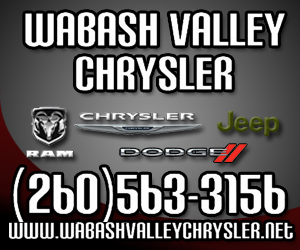 The only games between the Christmas and New Year's Holidays are the games contained within the Wabash County Tourney. 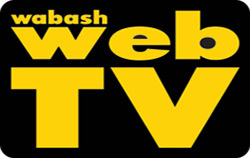 It will be held at Wabash High School on Friday and Saturday, Dec. 27 and 28. Wabash JV Girls vs. Southwood Girls at 9 a.m.
Southwood JV Boys vs. Wabash JV Boys at 10:30 a.m.
Manchester JV Girls vs. Northfield JV Girls at 12 p.m.
Northfield JV Boys vs. Manchester JV Boys at 1:30 p.m.